Turn heads in this dramatic black and red high low evening gown! 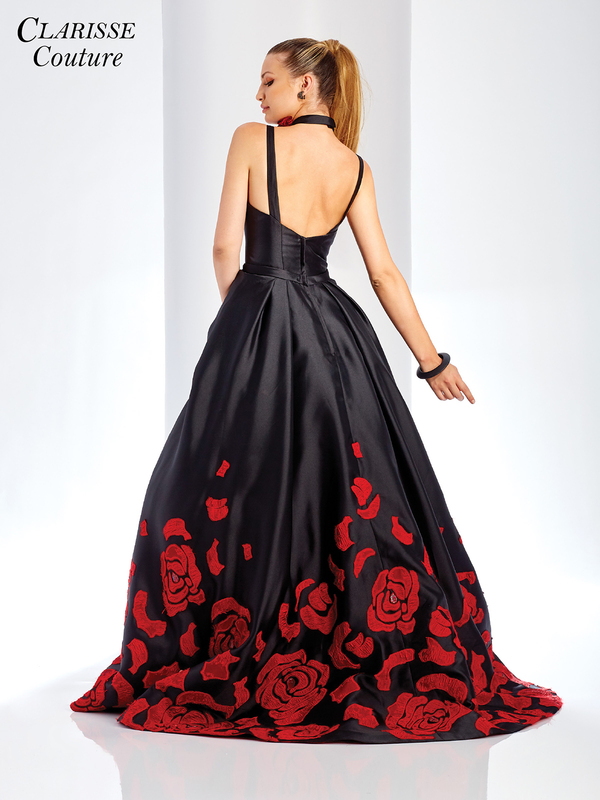 Bold red rose appliqu�s on the skirt hem and a striking red lining make this a not to be missed formal style! The bodice has a sweetheart neckline and straps with a scoop back. No need to find accessories with this dress, as it comes with a matching choker necklace! Just pair with a stand out pair of black heels, and you�ll be ready for any black tie event. Perfect for Prom! Center back zip closure, available in sizes 0 through 20 (Sizes 18 and up are an additional $25).